How can I stay sharp? It was one of the largest studies of its kind ever done. It was led by professors from Penn State, and involved over 3,000 people from six cities across the U.S.. People in this five-year study were assigned at random to training sessions involving memory, mental reasoning, or speed of mental processes. The results were so telling that they were published in the Journal of the American Medical Association. In the speed training group, nearly 90% showed immediate improvement as a result of the exercises they did. The reasoning group and the memory group showed improvement as well. Bottom line was this – completing at least 10 sessions helped keep the participant’s brains sharp. The old adage advises, “Use it or lose it!” Based on this study, that may be good advice! We have all experienced it. We learn a new skill, but don’t have the opportunity to use it on a regular basis. When we try to exercise our ability, we find that we have forgotten some – if not all – of the steps or technique required. The ability to learn and retain new information is more critical than ever. Eric Schmidt, former CEO of Google, said that we now create as much information in two days as we did from the dawn of man through 2003. I read recently that a single Sunday Times has more information than the average villager would get in a lifetime during the Middle Ages. We spend tremendous amounts of time absorbing information, learning new tasks, gaining new insight, developing new relationships. We invest heavily on the front end to master the discipline or learn the ropes of the new endeavor. But over time, unless we frequently tap into that knowledge, we may suffer the loss of what we learned. I call it erosion. Most of us don’t lose our skills or knowledge overnight (explosion), but rather through a slow process (erosion). How does this affect us in our career, our leadership, or our personal life? And how can we build a process for retaining what we have gained? According to the National Training Laboratories (NTL), the most effective way to absorb and retain information is to do and teach others. The NTL estimates up to 90% of information is retained when the learner uses the information immediately and shares it with others. The second most effective retention tool is to practice doing the activity or task. 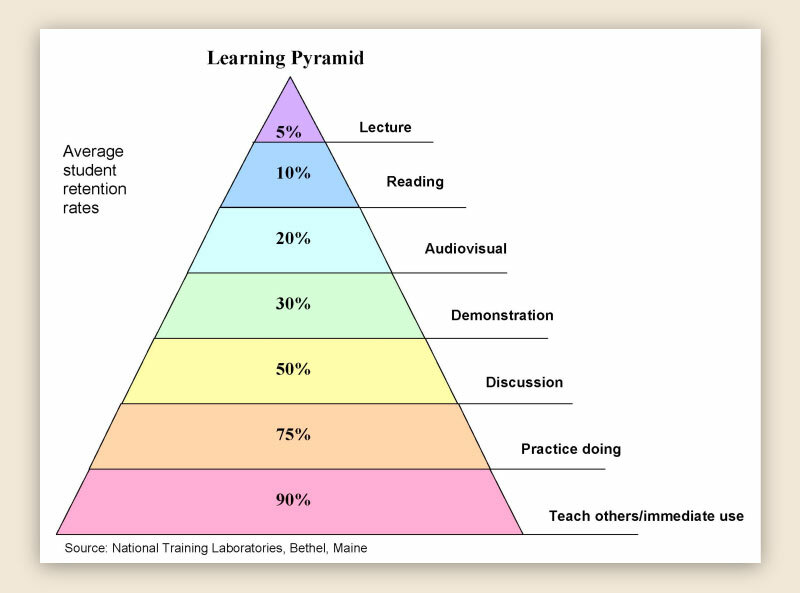 The least effective learning/retention process is lecture, and yet for most of us, that is the primary way we access information. A lecture can be verbal or written, but based on research done by the NTL, we retain only around 5% of the information when we rely on lecture alone. Both studies show that the best way – by far – to learn and retain knowledge is to do and teach. 1) Mentor someone – as soon as you begin to learn new information or processes, make it a point to teach it to someone else. 2) Write it down – many of us are visual, and seeing things in writing helps us to retain them. Practice the 3-step Read, Recap and Review process. Read it, recap it verbally, and then review it periodically. 3) Repeat it often – for the first few days after learning the new information, write it down and practice going through the steps. 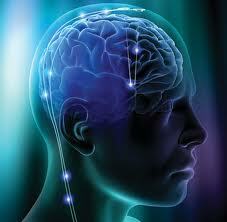 The process of repetition helps increase our brain’s ability to absorb and retain the data. 4) Have a cheat sheet – when you are learning, draw a diagram of the process, or make step-by-step notes. When you meet someone new, or are learning more about them, make notes. Keep a record of names of children, birth dates, hobbies and other things in your contact list. Maintain a reference file for those processes that you don’t do frequently. 5) Develop a rotation process – if there is a process or some information that you don’t use often, put it in a rotation. Make a note on your calendar to review the process or information on a regular basis to keep it fresh. What can I do to improve my retention of information? This entry was posted on Monday, March 19th, 2012 at 7:21 pm	and tagged with Leadership, memory, National Training Laboratories, Post-it note, retention, terry newberry and posted in Uncategorized. You can follow any responses to this entry through the RSS 2.0 feed.